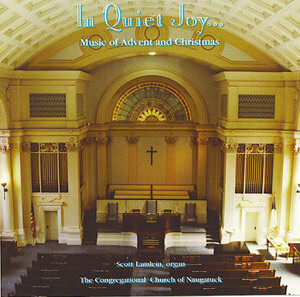 Scott Lamlein is a concert organist whose performances bring a unique spiritual and emotional inspiration to his audiences. Combining keyboard technique and sincere love of the music and instrument, recitals by Mr. Lamlein provide a deep connection between the music and the listener. Scott’s mission is to share beautiful and inspiring music with church families and concert audiences, with traditional organ recitals, hymn festivals, and meditative piano concerts. 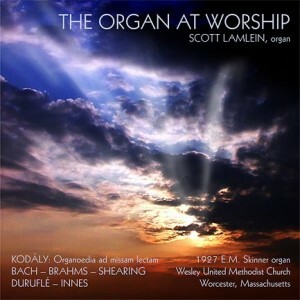 Organ recitals: Scott is known for his ability to communicate the full range of emotion and musical beauty made available for the pipe organ, and his eclectic programming. Bach and earlier composers find a meaningful home with Vierne, Widor, and modern composers as well. Each program is carefully crafted to carry the listener into a place of transformation, spiritual meaning, and to demonstrate the amazing “king of instruments.” Click here to scroll deeply into Scott’s past programs for many examples. Scott’s recital work has taken him throughout eastern United States and Europe. Hymn Festivals: Singing together is one of the things that parishes do best. When we sing together, we literally vibrate with our collective prayer. A Hymn Festival celebrates this wonderful art, and enhances the singing of hymns with meaningful readings and meditations on the hymns for organ or piano. Invigorate your congregation’s song! Click here for a sample Hymn Festival program. Piano Music for the Soul concerts: While his organ playing follows more traditional lines, Scott’s piano performance and composition are a perfect vehicle for quiet, meditation and prayer. His compositions have been featured on the Jesuit podcast Pray as You Go, and can be offered in concert as a unique way to disconnect from the outside world, be in quiet, and leave refreshed and renewed. Selections include Scott’s pieces, as well as quiet classical and jazz selections. Click here for examples of Scott’s original piano music. Talk to Scott today about your upcoming concert season! He’s always happy to talk music and strategize about your special event. Talk to Scott today about booking a recital or hymn festival. 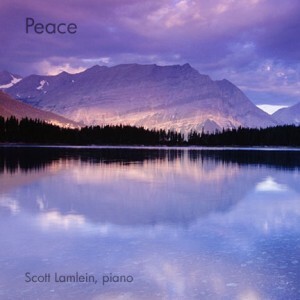 Click here to purchase Scott Lamlein’s music at iTunes. Click here to purchase at Amazon. Piano sheet music also available – click here for details!